Kurdish Jews arrive in Israel. Following the establishment of the state of Israel, Kurdish feelings toward the Jews were transformed into a certain admiration and the urge to imitate Jewish success in the new state. Relations were characterized by mutual trust that became an important asset for ties in modern times. In turn, Kurdish Jews who migrated to Israel in the 1940s and early 1950s became excellent ambassadors for the Kurds of Iraq, publicizing and pleading their cause among the Israeli public. In 1966, Iraqi defense minister Abd al-Aziz al-Uqayli blamed the Kurds of Iraq for seeking to establish "a second Israel" in the Middle East. He also claimed that "the West and the East are supporting the rebels to create [khalq] a new Israeli state in the north of the homeland as they had done in 1948 when they created Israel. It is as if history is repeating itself." An Arab commentator had warned earlier that if such a thing should happen, "the Arabs will face within two decades their second nakba [catastrophe] after Palestine." These contentions speak volumes regarding Iraq's threat perceptions of the Kurds more than four decades after the establishment of the Iraqi state. They also conceptualize Israel as the ultimate evil in the region. Such accusations are echoed today by some Arab media, which claim that Kurdistan is following in the footsteps of "Yahudistan" ("Land of the Jews"). Seen from the Kurdish and Israeli perspectives, these linkages and parallels are intended to demonize and delegitimize both while also implying illegitimate relations between them. The intriguing questions are therefore what kind of relations exist between Israel and the Kurds? Do the Kurds look at Israel as a model? And what are the regional implications of such relations? Relations between Israel and the Kurds have been complex. To unravel them, it is necessary to differentiate between several aspects: people to people versus official relations; relations between the Kurds of Iraq and those of Turkey; and between secret and open relations. then gave the birth to the Kurdish nation. Whatever the case, similarities have brought about certain affinities between the two peoples. Historically speaking, the treatment of Jews in Kurdistan was a mixture of tolerance toward Jewish religious rites and economic freedom along with persecution and even some rare pogroms. In earlier times, the Kurdish perception of the Jews was one of inferiority compared to the Christians, let alone to the Muslims. However, following the establishment of the state of Israel, such feelings were transformed into a certain admiration and the urge to imitate Jewish success in Palestine. At the same time, relations were also characterized by mutual trust that became an important asset for ties in modern times. 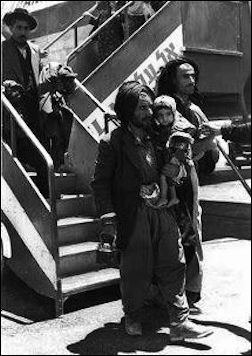 In turn, Kurdish Jews who migrated to Israel in the 1940s and early 1950s became excellent ambassadors for the Kurds of Iraq, publicizing and pleading their cause among the Israeli public. For example, following the crushing by Saddam Hussein of the 1991 Kurdish uprising, the Kurdish community in Israel, estimated then at 100,000, organized a massive relief operation for the Iraqi Kurds. They also staged demonstrations in front of Prime Minister Yitzhak Shamir and called on the U.S. government to protect the Kurds from Saddam. In fact, during a meeting with U.S. secretary of state James Baker, Shamir urged the administration to defend the Kurds. Shortly afterward, an Israeli-Kurdish friendship league was established in Jerusalem with the aim of fostering ties between Israel, Jews, and Kurds worldwide. Israel's Kurdish Jews provided a bridge to other Israelis in the early 1990s when they initiated moves with the Kurdish Regional Government (KRG), facilitated by their common language and cultural background. Generally speaking, the KRG felt easier developing ties through the Kurdish Jews of Israel since it could claim it was dealing with Iraqi citizens. On another level, from the 1990s on, the American Israel Public Affairs Committee (AIPAC) maintained relations with Kurdish officials since "pro-Israel Jewish activists viewed support for the Kurds, a small nation struggling for self-determination in a hostile Arab neighborhood, as helping Israel reach out to a natural ally." According to Morris Amitay, AIPAC's executive director from 1974 to 1980, "Our Israeli friends always appreciated our friendship with the Kurds." 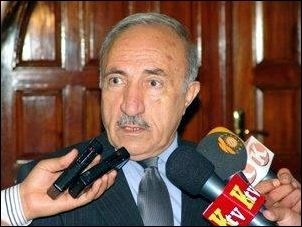 Amitay's son, Mike Amitay, also served as executive director of the Washington Kurdish Institute (WKI) from 1996 to 2005. The WKI he helped establish addressed a wide range of issues affecting Kurdish communities in Turkey, Iraq, Iran, and Syria. Under Amitay's direction, WKI and its partners initiated humanitarian medical and research programs in Iraqi Kurdistan to address long-term health effects of exposure to chemical weapons. Similarly, WKI established community-based health education and social service delivery programs operated by women in isolated rural areas. Affinity and mutual trust are reflected in the realms of literature and art as well. For example, in the novel Aida by the Israeli novelist Sami Michael, the hero is a Kurdish woman who finds refuge from the horrors of Saddam's regime in the house of one of Baghdad's last Jews. The documentary film Forget Baghdad, released in Israel in 2003, illustrates the strong nostalgic feelings of Israeli Kurds for Kurdistan. The same nostalgia is illustrated in a book by Ariel Sabar, which tells the story of his father, well-known linguist Yona Sabar. The elder Sabar was born in Zakho, left at an early age, but has fond feelings towards Kurdistan. On the Kurdish side, in 2009, the Israel-Kurd magazine, published by Dawud Baghestani, appeared in the KRG to foster rapprochement between the two peoples. Even though it lasted only a short time, the very fact that the magazine was allowed to circulate freely was a sign of a tolerance toward Israel and Jews. At one point, a group of Kurdish students at the University of Kurdistan called for the establishment of relations between Israel and Iraqi Kurdistan. Similarly, the Kurds have no qualms in inviting Israelis and Jews to Kurdish conferences in the KRG or elsewhere, or to translate their books into Kurdish. For example, Natan Sharansky, former Russian dissident and later head of the Jewish Agency, was a guest speaker at the Third Kurdish World Congress held in October 2013 in Stockholm. Jews were also invited to participate in a conference on minorities held in the KRG at the end of 2013. Similarly, many Israeli Jews of Kurdish and non-Kurdish origin have frequented the region since the 1990s. Several general observations on political relations are in order. First, no well-defined, consistent, and open policy has been formulated by either Israel or the KRG vis-à-vis the other; only ad hoc policies according to changing circumstances have been initiated. Second, the subject is extremely sensitive for both: Kurds are apprehensive of the reaction of the Iraqi government and fellow Iraqi citizens who might label them as traitors while Israel is cautious not to embarrass them or to appear to be inciting Kurds against the Iraqi government. Practically speaking, both parties have been reluctant to admit the existence of any kind of relations. Third, there is a big difference between Israel's relationship with the Kurdish leadership in Iraq and that in Turkey. This is a reflection of various historical, geostrategic, and political factors. In 1964 when the Kurdish revolution was in dire straits, activist Ismet Sherif Vanly (above) suggested to Kurdish leader Mulla Mustafa Barzani that he contact Jerusalem for help. Vanly went to Israel where he met Prime Minister Levi Eshkol, as well as Shimon Peres. Following that visit, the Israeli government sent a permanent representative to Iraqi Kurdistan. The Israelis also attempted to arrange meetings for Vanly with U.S. officials, but the latter refused. The guideline that has governed relations between Israel and the Iraqi Kurds is: "My enemy's enemy is my friend." Their common enemy was the government in Baghdad, the most dangerous for both being the Baath party that ruled Iraq in 1968-2003. But in fact, Israeli-Kurdish ties predated the Baath, going back to the 1950s when Israel's foreign policy strategy of the peripheral alliance was first launched. This strategy maintained that Jerusalem should seek alliances with non-Arab states as well as with minorities in the Middle East in order to address the larger Arab bloc. Relations between Israel and the Kurds began developing shortly after the outbreak of the Kurdish rebellion in the autumn of 1961, apparently at Jerusalem's initiative. According to another version, the first contacts were established by Reuven Shiloah (later, first director of the Mossad) in the early 1930s when he worked as a reporter for the Palestine Bulletin newspaper. 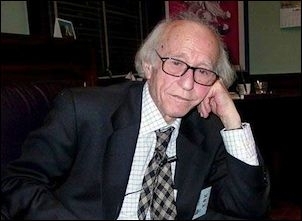 One of the early Kurdish interlocutors was activist Ismet Sherif Vanly. In his memoirs, Vanly revealed that in 1964, when the Kurdish revolution was in dire straits, he suggested to Kurdish leader Mulla Mustafa Barzani that he contact Jerusalem for help. Upon Barzani's agreement, Vanly went to Israel (with the help of the head of the Iranian intelligence) where he met Prime Minister Levi Eshkol, as well as Shimon Peres, head of the Labor party. Following that visit, the Israeli government sent a permanent representative to Iraqi Kurdistan. The Israelis also attempted to arrange meetings for Vanly with U.S. officials, but the latter refused. According to Vanly, Ibrahim Ahmad, who later would split from Barzani's party, had at an earlier date made a secret visit to Israel. The revelation about Ahmad is important because, in later years, Ahmad's faction leaked information about the secret relationship between the Barzanis and Israel in order to embarrass the Barzanis. These ties, kept secret by both sides, reached their peak in the early years of the Baath in 1968-75. Barzani visited Israel secretly twice, in 1968 and 1973, meeting with high Israeli officials including the prime minister. Mustafa's sons Masoud and Idris also visited Israel. For their part, various Israeli officials frequented the Kurdish region. Some conspiracy theories put the number of Israelis present at the time in Kurdistan in the thousands. In fact, they did not exceed three or four. These ties brought benefits to both partners. Jerusalem obtained intelligence as well as support for a few thousand Jews fleeing Baath Iraq. The Kurds received security and humanitarian aid as well as links to the outside world, especially the United States. The first official acknowledgment that Jerusalem had provided aid to the Kurds dates to September 29, 1980, when Prime Minister Menachem Begin disclosed that Israel had supported the Kurds "during their uprising against the Iraqis in 1965–1975" and that the United States was aware of the fact. Begin added that Israel had sent instructors and arms but not military units. Israeli aid was initially limited to human-itarian assistance such as the construction of a field hospital in 1966. It expanded gradually, eventually to include the supply of small arms and ammunition. Later, it encompassed more sophisticated equipment such as antitank and antiaircraft weapons. It also included training Kurds in Israel and Kurdistan. One reliable source claimed that all training of Kurds was provided by Israel. Rafael Eytan, who visited Kurdistan in 1969 before he became Israel's chief of staff, stated that almost all of the Israeli trainers were paratroopers. Israelis also served as advisers. In fact, Eytan's visit served the same purpose. But it should be stressed that Israelis were never involved directly in combat and had no command role whatsoever. They also helped in activities such as propaganda campaigns in Europe, courses for Kurdish medics, and with the creation of schoolbooks in Kurdish. These ties were abruptly stopped in March 1975 following the Algiers agreement between Iraq and Iran that put an end to the Kurdish rebellion. But discrete relations were resumed a few years later and have continued for most of the time ever since. Similar to a second Zionism, the Kurdish collaboration [in the KRG] is about to achieve statehood. The statehood of Kurdish nationalism will be used against Turkey and Iran. I tried to stop this. Our guys are weak [though]. ... Similar things had happened in Palestine in 1948. The result [was] grim wars. Just like how they made Israel fight the Arabs, and they devastated the Arabs, the process which is taking place here is also a policy of let the dog fight the dog (iti ite kırdırmak)." On the same occasion, he stated: "We want simple rights. If we do so, we shall be able to prevent Kurdish nationalism from becoming the second Zionism. I should not be misunderstood as if I am against Jews here, nor am an anti-Semite. I am for the Jews to take part democratically in the Middle East. [However] Zionism is a different mentality. It always creates its opponent. On the practical level, since he was granted asylum by Syria's Hafez al-Assad in 1979, Öcalan became a Syrian client and a close ally of the Palestine Liberation Organization (PLO). As early as the end of 1979, the PKK had transferred many militants as well as its central leadership to Palestinian camps in Lebanese territory where they trained together with Palestinians and even participated in combat against Israel. As Daniel Pipes notes, "in 1982, the PKK proved its mettle by fighting Israeli forces in Lebanon and was rewarded with a large camp in the Bekaa Valley, which became its headquarters." Two dozen PKK members were killed in the Israeli operation in Lebanon that year. According to Ismet G. Imset, after the Israeli destruction of PLO camps in Lebanon, Syria allowed the PKK to train in its own territory. In 1991, Öcalan claimed to have "hundreds of camps" in Lebanon, and a reporter witnessed both Palestinians and dissident Turks using PKK facilities. Relations with the PKK were also a reflection of Israel's relations with the West in general and Turkey in particular. Following on the footsteps of Western countries, Israel had to take Turkish sensibilities into consideration; Ankara regarded the PKK as a deadly enemy. Jerusalem felt obliged to keep its distance from Kurdish leaders in Turkey, certainly the PKK, so as not to antagonize the Turks and jeopardize their special ties. It should be noted that Israel's strategic relations with Turkey, which reached their peak in the mid-1990s, coincided with the lowest point of relations between Ankara and the PKK, then engaged in a fierce civil war. Yet for all the Turkish pressure, Jerusalem was long reluctant to denounce Kurdish terrorism. For example, during his visit to Israel in 1993, Turkey's foreign minister Ahmet Çetin raised this demand, but his hosts refused to comply. In May 1997, however, at the height of the Turkish-Israeli relations, Prime Minister Benjamin Netanyahu reportedly declared Israel's support for Turkey in its conflict with the PKK. Netanyahu went further and asserted there would be no peace with Damascus unless it ended its support for PKK terrorism. Another low point in the relations between the Israelis and the PKK came in February 1999 following Turkey's capture of Öcalan, for which Israel was partially blamed. Although Jerusalem had adamantly denied accusations of having helped track Öcalan, the suspicion triggered huge Kurdish demonstrations in front of the Israeli consulate in Berlin, which ended with the killing of three Kurdish protestors. Fortunately, the crisis calmed with no further repercussions, but the PKK has lately demanded an Israeli apology for allegedly handing over Öcalan. Another sour point in relations was the question of ten Israeli-made Heron drones which Jerusalem sold Ankara in 2004 and which the PKK suspected were being used to spy against it. 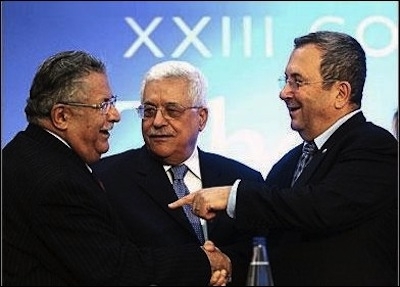 Jalal Talabani (left), Iraqi president and head of the Patriotic Union of Kurdistan, did not hesitate to shake hands publicly with Israeli defense minister Ehud Barak (right) at a conference in Greece, April 2008, as Palestinian Authority president Mahmoud Abbas looked on. When denounced by members of the Iraqi parliament, Talabani emphasized that the handshake was in his capacity as head of the PUK and not as president of Iraq. The geopolitical context for Kurdish-Israeli relations has changed dramatically in the last few years, allowing for a certain openness or even rapprochement. Still, the total secrecy that governs these ties gives room for many questions and conspiracy theories. The 2003 war in Iraq and the establishment of a de facto Kurdish state reinvigorated ties between Israel and the KRG. For one thing, the Baghdad government was no longer radically opposed to Israel. For another, the KRG leadership was, for a time, more assertive and could state views it previously could not. In 2005, KRG president Masoud Barzani stated that "establishing relations between the Kurds and Israel is not a crime since many Arab countries have ties with the Jewish state." For his part, Jalal Talabani, Iraqi president and head of the Patriotic Union of Kurdistan (PUK) did not hesitate to shake hands publicly with Israeli defense minister Ehud Barak at a conference in Greece in April 2008. When denounced by members of the Iraqi parliament, Talabani explained that the handshake was in his capacity as head of the PUK and not as president of Iraq. Israeli media also alluded to secret meetings in 2004 between Ariel Sharon, Masoud Barzani, and Jalal Talabani. There were also reportedly meetings between Israeli prime minister Benjamin Netanyahu and the KRG's Nechirvan Barzani. Tacit security and economic ties were also reinforced and apparently included training of Kurds by Israelis. According to some non-Israeli sources, Israeli activities in the KRG were widespread. For example, American journalist Seymour Hersh claimed that Israeli intelligence and military operatives were quietly at work in Kurdistan, providing training for Kurdish commando units and running covert operations inside Kurdish areas of Iran and Syria. According to Hersh, at the end of 2003, Prime Minister Ariel Sharon made a strategic decision to expand relations with the KRG against the background of the deteriorating situation in Iraq and growing Iranian penetration. These claims remain unproven. Mainstream Israeli sources have reported on some of these matters. The Yedi'ot Aharonot newspaper published an exclusive regarding Israel's training of peshmergas, the Kurdish paramilitary force. Another Israeli source mentioned the activities of an Israeli company in the construction of an international airport in Erbil in Iraqi Kurdistan. The same source revealed that a company owned by former Mossad chief Danny Yatom and entrepreneur Shlomi Michaels conducted business with the Kurdish government, providing strategic consultation on economic and security issues. In addition, it was reported that "tons of equipment, including motorcycles, tractors, sniffer dogs, systems to upgrade Kalashnikov rifles, bulletproof vests, and first-aid items have been shipped to Iraq's northern region," with most products stamped "Made in Israel." For their part, Iraqi sources, especially Shiite ones, have published lists of scores of Israeli companies and enterprises active in Iraq through third parties. On the public level, the lingering Kurdish perception of Israel was as a country that had betrayed the Kurds in 1975 (when this was clearly the shah's doing, and Israel no longer had access to Iraq) and which had supported Turkey against the PKK. These perceptions, however, have recently shifted so that there is now an eagerness among many Kurds, at least in the KRG, for cooperation with Israel. According to a poll conducted in 2009 in the KRG, 71 percent of the respondents said they supported establishing diplomatic relations with Israel, and 67 percent said they viewed such relations as an important step toward an independent Kurdistan. But Kurdish interest in bilateral ties with Israel has prompted harsh reactions in the Arab world and among Iraqis in particular. The Arab media accused the Kurds of implementing the "imperialist project for splitting Iraq," of attempting to deny the Islamic identity of the state, and of refusing "to consider Kurdistan as part of the Arab nation." The worst accusation was that the Kurds were Jerusalem's agents seeking to establish a "second Israel." Reacting to such accusations, a Kurdish journalist maintained that the Arabs suffered from "the Kurdish complex" and from "Kurdophobia," saying that "Iraqi and Arab pens" used "organized terrorism" to harm the Kurds and their leadership. For its part, Israel is willing to encourage strong ties with the Kurds but fears antagonizing Turkey even though Ankara itself has no qualms supporting one of Israel's worst enemies, Hamas. Turkish sources confidentially report that the Turks are increasingly concerned by the expanding Israeli presence in Kurdistan and alleged encouragement of Kurdish ambitions to create an independent state. … The Turks note that the large Israeli intelligence operations in northern Iraq incorporate anti-Syrian and anti-Iranian activity, including support to Iranian and Syrian Kurds who are in opposition to their respective governments. Even in the KRG, where clandestine ties with Israel have been strong and long-standing, there are serious fears of antagonizing Baghdad and especially Tehran. The KRG's desire to do business with the expanding markets in Arab countries, especially the Persian Gulf states, provides another obstacle. Mahmud Othman (above), a Kurdish member of parliament in Baghdad, has said: "We don't need a relationship with [Israel]; we need a relationship with Arabs; we need a relationship with Iran; we need to be close to Turkey." The context of Israeli relations with the PKK has also changed. Öcalan's anti-Semitic statements have continued as seen in recent denunciations of the Israeli lobby by him and his associates. But these may have been intended to curry favor with the Turkish government with which the PKK is engaged in a peace process. Still, there are attempts by the Israelis and the PKK to send out feelers or at least to lower tensions. A PKK member compared the Kurds' attraction to Israel with a village youth who keeps coming and going in front of his lover's house but cannot come in for fear of her father. It also seems there are two camps in the PKK, one led by Murat Karayılan which is open to ties and that of Cemil Bayık which is more reluctant. The umbrella organization in Europe, the Kurdistan National Congress (KNK), also seems more willing to consider developing ties. In a March 2014 interview with The Jerusalem Post, prominent KNK member Zübeyir Aydar also called for "breaking the walls" between Kurds and Israelis. On the Israeli side, there have been ambiguous declarations. Foreign Minister Avigdor Liberman was quoted as saying that Jerusalem might support the PKK against Turkey. Although such statements were denied later, they gave fertile ground to long-standing conspiracy theories in Ankara. For example, a May 2010 PKK attack inside Turkey coincided with the Israeli operation against the ship Mavi Marmara, en route to Gaza, and raised suspicions in Ankara that the former had been masterminded by Israel. Similarly, Turkish intelligence officials accused Jerusalem of aiding the PKK by collecting intelligence in the Hatay and Adana regions via unmanned aerial vehicles. Both the PKK and Israeli sources denied these allegations. However, the pressure on Israel to avoid contact with the Kurds so as not to antagonize Turkey has eased for another reason: The Turkish government itself has dramatically changed its policy toward the Kurds, not only through its strategic relations with the KRG, but also through the peace process that it initiated in the spring of 2013 with its nemesis, the PKK. The upheavals in Syria have also brought Syrian Kurds to the forefront. They were previously an unknown entity as far as Israel was concerned. Here again the rule of "my enemy's enemy" became relevant as both the Kurds of Syria and the Israelis confronted Islamist terrorist organizations such as Jabhat al-Nusra and Dawlat al-Iraq wa-l-Sham al-Islamiya. It seems, however, that relations between Jerusalem and Syrian Kurds predated the recent upheavals. According to Hersh, who quoted German officials in a 2004 article, the German intelligence community had evidence that Jerusalem was using its new leverage within Kurdish communities in Syria (and Iran) for intelligence and operational purposes. Hersh further quoted Lebanese minister of information Michel Samaha as saying that his government had evidence Israel was "preparing the Kurds to fight all around Iraq, in Syria, Turkey, and Iran. They're being programmed to do commando operations." While it is impossible to corroborate such remarkable reports, it seems probable that the Syrian Kurds and Israelis are sending feelers for possible cooperation. Some Kurdish groups in Syria evidently hope to gain Israeli support. Lastly, there have been reports claiming that Israel has been developing ties with the Free Life Party of Kurdistan (PJAK), a Kurdish-Iranian group linked to the PKK. There are claims that Jerusalem has provided training at PJAK bases in the KRG. One report also asserted that Israel, together with the United States, was providing money, arms, and intelligence to PJAK but that support had stopped abruptly by 2013. U.S.-based Kurdish scholar Nader Entessar has suggested that Jerusalem and Washington supported PJAK and other Kurdish assets against the government in Iran. He further maintained that PJAK's leader Rahman Haj Ahmadi even traveled to Washington in 2007 and met U.S. officials there despite PJAK's links with the PKK, considered a terrorist organization by the U.S. government. The upheavals in the Middle East and the concomitant changes in the geopolitical map have theoretically allowed for the legitimization of the region's two outcast nations, including the right to self-determination. These events could allow for open relations between Israel and the Kurds by removing the barriers of fear, suspicion, and conspiracy theories. On the ground however, many obstacles and challenges still lie ahead. On the Kurdish side, rivalries between the four parts of Kurdistan make it difficult to develop clear strategy towards Israel. The fear of antagonizing each neighboring state also weighs heavily on their ability to maintain open links with the Jewish state. Even in the KRG, where clandestine ties with Israel have been strong and long-standing, there are serious fears of antagonizing Baghdad and especially Tehran. The KRG's desire to do business with the expanding markets in Arab countries, especially the Persian Gulf states, provides another obstacle. As Mahmud Othman, a Kurdish member of parliament in Baghdad, put it: "Kurdistan needs the Arabs. We are living in an Arab country, and we are a federal region within Iraq. We don't need a relationship with [Israel]; we need a relationship with Arabs; we need a relationship with Iran; we need to be close to Turkey." Similar concerns were expressed by Kurdish officials, who stated that the KRG does not want to jeopardize its relations with Arabs, Turks, and Iranians for the sake of relations with Israel. Jerusalem, too, has reservations about open relations with the Kurds. For one thing, Washington keeps putting up obstacles to such ties out of a commitment to the unity of the Iraqi state even though reality is far removed from this elusive ideal. Similarly, for all the problems with Turkey, Israel does not want to antagonize that country further by openly declaring its relations with the Kurds. Jerusalem also has to take into account the sensitivities of Kurdish politicians who are reluctant to be associated with it openly. Looking to the near future, it appears that relations between Israel and the Kurds are doomed to continue in the shadows. However, should the KRG declare independence, this might change the picture on both sides. Jerusalem might be one of the first governments to recognize Kurdistan as it was with South Sudan. A Kurdish state would in turn like to have Israel's support. After all, besides the affinity between the two nations, they have common interests in the continued existence of each other. Ofra Bengio is a senior research fellow at the Moshe Dayan Center for Middle Eastern and African Studies at Tel Aviv University. She is author of The Kurds of Iraq: Building a State within a State (Lynne Rienner Publishers, 2012) and editor of The Kurds: Nation-Building in a Fragmented Homeland (Texas University Press, 2014). Mahmud al-Durra, al-Qadiya al-Kurdiya (Beirut: Manshurat Dar-at-Tali'a, 1966), p. 388. Kurdroj website, July 3, 2008. Ariella Oppenheim, Hebrew University of Jerusalem, quoted in Sargis Mamikonian, "Israel and the Kurds," Iran and the Caucasus, 2005, no. 2, p. 381. Zorab Aloian, "The Kurds in Ottoman Hungary," Transoxiana: Journal Libre de Estudios Orientales (Universidad del Salvador, Buenos Aires), Dec. 9, 2004. Mordechai Zaken, Jewish Subjects and Their Tribal Chieftains in Kurdistan: A Study in Survival (Leiden: Brill, 2007), pp. 9-17. Ibid., pp. 338-43; Lazer Berman, "The World's Oldest Kurd: A Beloved Rabbi in the Heart of the Holy City," Serbesti, Feb. 10, 2014. Mamikonian, "Israel and the Kurds," p. 398. Jaques Neriah, "Kurdistan: The Next Flashpoint between Turkey, Iraq, and the Syrian Revolt," Jerusalem Center for Public Affairs, Aug. 5, 2012. Israeli-Kurdish Friendship League, Jerusalem, accessed Mar. 31, 2014. The Forward (New York), Apr. 18, 2012. "Mike Amitay: Senior Policy Analyst," Washington Kurdish Institute, accessed Dec. 30, 2013. Sami Michael, Aida (Tel Aviv: Kinneret Zmora Bitan, 2008). Mamikonian, "Israel and the Kurds," p. 389. Ariel Sabar, My Father's Paradise: A Son's Search for His Family's Past (New York: Algonquin Books of Chapel Hill, 2008). Agence France-Presse, Aug. 11, 2009. United with Israel, Bet Shemesh, accessed Mar. 31, 2014. Point of No Return: Jewish Refugees from Arab Countries (blog), Dec. 10, 2013. Ofra Bengio, The Turkish-Israeli Relationship: Changing Ties of Middle Eastern Outsiders (New York: Palgrave Macmillan, 2004), pp. 33–71. Israeli officials interviewed by the author, Israel, Mar. 13, 1982, July 28, 1985. Tom Segev, 1949, Hayisraelim Harishonim (Jerusalem: Domino, 1984), p. 34. Ismet Sherif Vanly, Min Mudhakkirat Ismet Sherif Vanly, pp. 38-40. This unpublished manuscript, found in the Zein Center in Sulaymaniya headed by Rafiq Salih, was provided by Bayar Dosky. Radio Israel, Sept. 29, 1980. Sergey Minasian, "The Israeli-Kurdish Relations," Noravank Foundation, Yerevan, p. 22. Öcalan interview with his lawyers, Jan. 5, 2005. "Kürt Halk Önderi Abdullah 'Öcalan'ın 2005-2006 Görüşme Notları, Stêrka Ciwan." Quote provided by Ceng Sagnic. Ibid. ; Öcalan (under his pen names Ayden Safer and A. Inanc) has produced other anti-Semitic articles, for example, Ozgur Ulke, Aug. 28/29, 1994. Ismet G. Imset, The PKK: A Report on Separatist Violence in Turkey (Istanbul: Turkish Daily News Publications, 1992), pp. 172-3. Daniel Pipes, "Hafiz al-Asad Should Be Careful," Turkish Times, Dec. 15, 1994. Imset, The PKK, p. 172. Pipes, "Hafiz al-Asad Should Be Careful." Ali Sarhan, "The Two Periods of the PKK Conflict: 1984-1999 and 2004-2010," in Fevzi Bilgin and Ali Sarhan, Understanding Turkey's Kurdish Question (Lanham: Lexington books, 2013), pp. 93-4. Gregory A. Burris, "Turkey-Israel: Speed-Bumps," Middle East Quarterly, Fall 2003, pp. 67-80. Amikam Nachmani, "The Remarkable Turkish-Israeli Tie," Middle East Quarterly, June 1998, pp. 19-29. Owen Matthews, "Turkey's Tricky Drone Diplomacy," The Daily Beast (New York), Sept. 13, 2011. YNet News (Tel Aviv), Sept. 21, 2005. BBC News, July 1, 2008. Neriah, "Kurdistan: The Next Flashpoint." Private communication with anonymous sources. Seymour M. Hersh, "Plan B: The Kurdish Gambit," The New Yorker, June 21, 2004. Zadok Yehezkeli, Anat Tal-Shir, and Itamar Aichner, "Be'Oref Ha'Oyev," Yedi'ot Aharonot (Tel Aviv), Dec. 2, 2005. Al-Wikala ash-Shi'iya (al-Shieeya News Agency, Beirut), Nov. 20, 2008. The Kurdish Globe (Erbil), Nov. 15, 2009. Al-Musawwar (Cairo), Sept. 8, 2006; al-Hawadith (Kuwait City), Sept. 15, 2006. Al-Mujtama (Kuwait City), Aug. 20, 2005. Al-Hayat (London), Oct. 15, 2006. Al-Ahali (Baghdad), June 7, 2006. Hersh, "Plan B- The Kurdish Gambit." See, for example, Agos (Istanbul), Jan. 9, 2014. The PKK member was quoted by a Kurdish activist during the author's private communication with him, Israel, Mar. 10, 2014. Private communication with leading KNK members, Brussels, Nov. 2012. The Jerusalem Post, Mar. 6, 2014. Today's Zaman (Istanbul), Aug. 5, 2010. Ynet News, Jan. 17, 2012. Sedat Laciner, "Why Is Israel Watching the PKK?" al-Monitor (Washington, D.C.), Jan. 10, 2013. Nader Entessar, Kurdish Politics in the Middle East (Lanham: Rowman & Littlefield, 2010), p. 205. Private communication with anonymous source. Related Topics: Israel & Zionism, Kurds | Ofra Bengio | Summer 2014 MEQ receive the latest by email: subscribe to the free mef mailing list This text may be reposted or forwarded so long as it is presented as an integral whole with complete and accurate information provided about its author, date, place of publication, and original URL.